Scientex reported a flat set of results - 6MFY19 core net profit grew by a mere 0.6% yoy to RM132m due to weaker contribution from the property segment in 1QFY19. The pick-up in property recognition in 2QFY19 reaffirms our belief that the property prospect in 2HFY19 remains unperturbed. As such, we deem the results to be broadly within expectations. Elsewhere, we think the recent weakness in share price performance was probably due to concerns of: (i) higher gearing or (ii) near-term earnings dilution from the ongoing proposed acquisition of Daibochi. These concerns are unwarranted, in our view, considering Scientex’s excellent track record and solid execution. 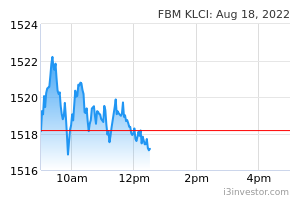 Reiterate BUY with an unchanged PT of RM10.10. Scientex’s 2QFY19 core earnings surged to RM75m (+22.0% yoy; +31.4% qoq) on the quarterly record high revenue (+7.4% qoq) and a higher EBITDA margin (+2.3 ppts to 16.4% as the property segment commands better margins; Fig 2). Notably, the property segment expanded to RM64.9m (+21.6% yoy; +63.1% qoq) from the stronger progress billings recognised for its development projects, following the longer-thanexpected approvals from the authorities in 1QFY19. Elsewhere, the manufacturing segment increased to RM39m (+23.4% yoy; +8.9% qoq), driven by continued demand from export and domestic markets. Cumulatively, Scientex’s 6MFY19 core net earnings grew by a mere 0.6% yoy to RM132m, dampened by the weaker 1QFY19 earnings mentioned above. Moving forward, we expect its property contribution to accelerate in 2HFY19, considering: (i) the approvals issue has been resolved in 2QFY19, (ii) the target GDV of RM600m (focusing on property development in Melaka, Ipoh, Senai and Pulai), and (iii) unbilled sales of RM600m. As such, we deem the results to be broadly within street (40%) and our (44%) full-year estimates. To recap, the mandatory takeover offer (MGO) for Daibochi (DPP MK) has become unconditional as the acceptance condition has been fulfilled – Scientex holds a 52.5% stake in Daibochi. The consideration will be satisfied either by a cash option (offer price of RM1.59) or share exchange option (exchange ratio: 5.535). The offer will remain open for acceptance until 1 April 2019; the MGO is expected to be completed by end-April19. Management is guiding for ambitious plans to boost Daibochi’s revenue to RM1bn (2018 revenue was RM430m) within five years, in line with the Group’s Vision 2028 strategy. Based on information in the circular, assuming a 100% valid acceptance for the offer, a cash option may lead to a gearing level of 0.6x (from the current gearing of 0.4x and is above Scientex's internal target of 0.5x) whereas a share exchange option may potentially lead to dilution in near-term EPS. All in, we reckon the synergies from this marriage will take time to come through and the earnings impact on Scientex’s FY20E EPS is neutral. We keep our forecasts unchanged pending completion of the Daibochi MGO transaction. We maintain our BUY call with an unchanged TP of RM10.10 based on our SOTP valuation (17x FY20E PER for manufacturing; 40% discount to property RNAV). 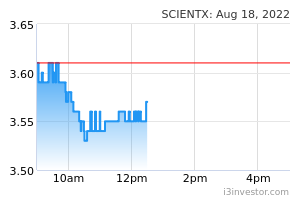 At a 12x FY20E PER, Scientex’s valuation looks attractive. Key downside risks to our call include: (i) higher-than-expected resin costs (ii) weaker export sales, and (iii) weaker-than-expected property sales.